Proposta di matrimonio per Hilary? Hilary Duff “Sparks”: il videoclip musicale! Lizzie McGuire, the iconic 65 episode Emmy nominated series that launched the career of @HilaryDuff, is confirmed to be on #DisneyPlus, an upcoming subscription video on-demand service owned and operated by Walt Disney Direct-to-Consumer and International. La nuova serie tv con Hilary Duff in onda su Fox Life, canale 114 di Sky! Guarda le foto dal set, il trailer ufficiale e commenta sul Forum. 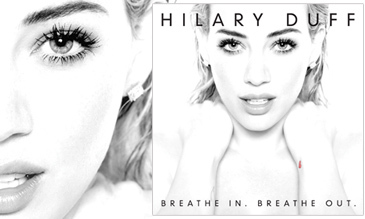 L'ultimo album di Hilary Duff "Breathe In. Breathe Out." disponibile in Italia in Digital Download e CD Deluxe!